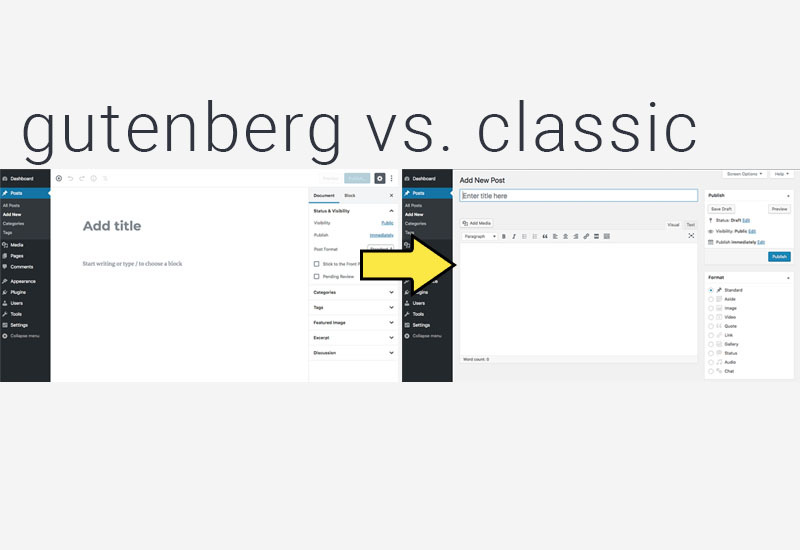 WordPress forced a new editor called Gutenberg to WordPress users in version 5.0 and later. This tutorial will show you how to change back to the old classic WordPress post editor. 1. Log into your WordPress Dashboard and go to Plugins > Add New. 2. Search for "Classic Editor" and download it - it should be by WordPress Contributors. 3. After the download is finished, make sure you Activate it. 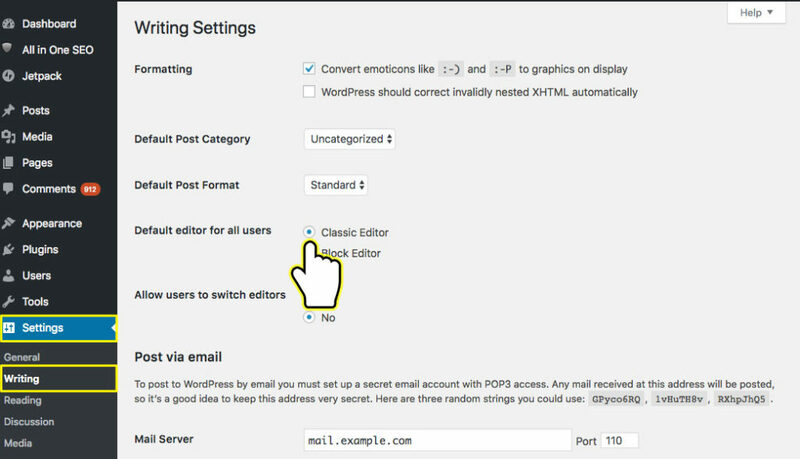 Your WordPress should now be reverted back to the classic editor and you will now be able to publish or edit your posts. If you still do not see the classic editor after downloading the plugin, go to Settings > Writing > and make sure Classic Editor is checked under Default editor for all users. You will also go here if you want to change back to the new Gutenberg WordPress editor. Let us know if you have any questions or comments in the comments field below.